Proper hard game this, but nowt to lose, let's just go for it. Rather lose 5-0 and know we've had a reyt go at them, than draw or lose 1-0 and just sit back. Was we at the same game? I actually thought he was one of the better players today! Yes he's not a world beater but he definitely solid enough tonight. Won most tackles and headers and worked hard along with Boyd on the left! Westwood- 8 - fantastic save in first half and clean sheet palmer- 7- solid hector 7- solid lees- 7- solid except from one dodgy moment in first half. fox -9- though he was excellent. Won keep at headers and tackles. Worked very well with Boyd tonight. Matias -8.5 -worked hard and 2 goals. Joey what's his name - 5 - just not good enough. Did ok second half but in my opinion, he was our weak link. Reach 7- did well without doing anything special. Boyd-9- worked his socks off! That's the boyd that did well at Burnley. And a very good goal. Just edged it for motm for me. Joao-6- ran about a lot but didn't really pull up any trees. Fletcher- 7- worked hard and held the ball up well. First half was horrible. Different side second. Stoke away. Whats gonna happen? Obviously would love the 3 points. But think it's gunna be 1-1. wouldnt be end of the world, but if we do get 3 points, that will be massive! This is one of those games that on paper is boring, and will probably be a horrible game to watch. i will fully believe we are going up if we win this! 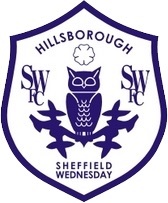 Wawaw!!!! Don't﻿ know if this is the right section﻿ to post this but need some advice about season tickets ﻿ so i purchased a season ticket over the phone today. They was going to email me the confirmation letter over where I sign it there. However, I'm having problems with my emails and can't get on them to sign it. I'm worried that i can't sign it by tonight I will lose the early bird offer. Is this correct or can I just go into store tomorrow and sign it there and all is well? I've tried ringing the club but no answer! Don't know if this is the right section to post this but need some advice about season tickets so i purchased a season ticket over the phone today. They was going to email me the confirmation letter over where I sign it there. However, I'm having problems with my emails and can't get on them to sign it. I'm worried that i can't sign it by tonight I will lose the early bird offer. Is this correct or can I just go into store tomorrow and sign it there and all is well? I've tried ringing the club but no answer! been trying to get though to ticket office all day but no answer? Just keeps saying there busy. Anyone else had this problem? The next time someone says " why is bannan on all set peices " I will tell them to watch the last few weeks. I voted nuhiu, caused bedlam for there back 4! They just couldn't cope with the big lad. He bullied Madine. And madine hated it. Madine definitely has big man Syndrome and it was so good to see him get thrown about! He's definitely not the same player that played for Burnley. I really liked him for burnley and was quite optimistic when he signed... but let's be honest here, we would not miss him if he left tonight. Exactly, so i can't grasp why we didn't go and get someone with pace. These are meant to Be top managers. But failed to see what everyone could see. Agree with kieran lee been the perfect midfielder for us, hence that when ever he's been in the team.. we have been the most effective. We actually don't have a speedy cm, reach is probably the one player that can carry the ball up field and have the stamina to get up and down, but he's not a cm. Playoffs Are Possible, But Are They Likley? I'll stop believing when it says mathematically impossible. untill then.... IM IN!! .....now where did I leave my tablets?! Sorry but from what i saw, every player ran into crowd... fessi runs other way, and high fives a fan ON THE PITCH! He didn't even leave the field! Yet he only books fessi?? Not just saying this as im a Wednesday fan but refs definitely have a vendetta towards the lad. He also gets kicked for 90+ minutes with no protection. It's a joke. Either can I....LITERALLY i think it's down to the beer and subways personally. I've seen Aaron's play a fair few times and although he's what weve been missing for some time now, he can Be very inconsistent. Be prepared to Be frustrated with this lad. He reminds me of jj. Will get you of your seat then make you kick the one in front after. He's still a better option that Boyd tho and is definitely the outlet we needed. I agree completely. However I just do not understand how they are making such a simple thing so complicated. All games (even non league) get recorded in some way nowadays, it literally takes one man to look at a tv and say yes or no. It's nots hard! Let the 4th official do it, as he does flip all anyway! They don't need 7 refs to all be In a special office somewhere down town ffs! just put a monitor on side of pitch, look at the decision, yes or no, done. I wish he would also. But he's too stubborn. He's literally only got money. Anyone with cash could have done what chansiri has done and maybe done a better job at it. The sooner he goes the better. Thanks for speaking on behalf of most owls fans! I wish chansiri would fxxx off. Talking down to me doesn't work pal. I said your first thought is to talk the fans down, yes you might mention the club after but your main points are to talk the fans down. Not just this call but in previous calls I've listened to.